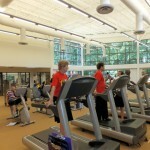 Floris UMC added a 22,000 SF three-story addition to their existing church. 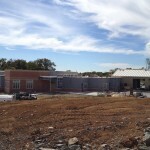 The exterior walls to the addition are framed with cold-formed steel and vinyl siding and stone veneer. SWSG provided structural engineering for cold-formed steel exterior framing. Services included plan layout drawings, sections, connection details, header schedules, sill schedules, jamb stud schedules, and calculations. The design included light gage kickers at storefront openings, platform framing, and framing between metal truss outriggers. The new Eastern Star Church building is a two-story 118,000 SF structure. The main structure is 40 feet high and the steeple is 100 feet high. 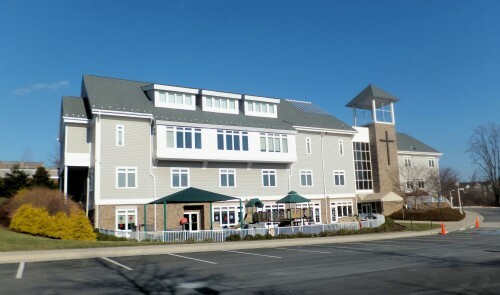 The exterior walls, bulkheads, canopies, columns, eaves, and soffits are framed with cold-formed steel and brick veneer, EIFS, and metal panels. 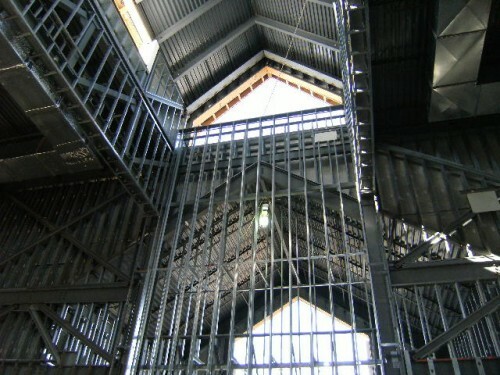 Diagonal bracing at the steeple walls is also framed with cold-formed steel framing. SWSG provided structural engineering for cold-formed steel exterior framing. Services included plan layouts, sections, connections, headers, sills, jamb studs, and calculations. The design included interior load-bearing walls and 2nd floor joists on either side of the chancel, large interior bulkhead framing, and interior partition framing between classrooms. An additional design included interior bulkhead framing for sprinkler piping.